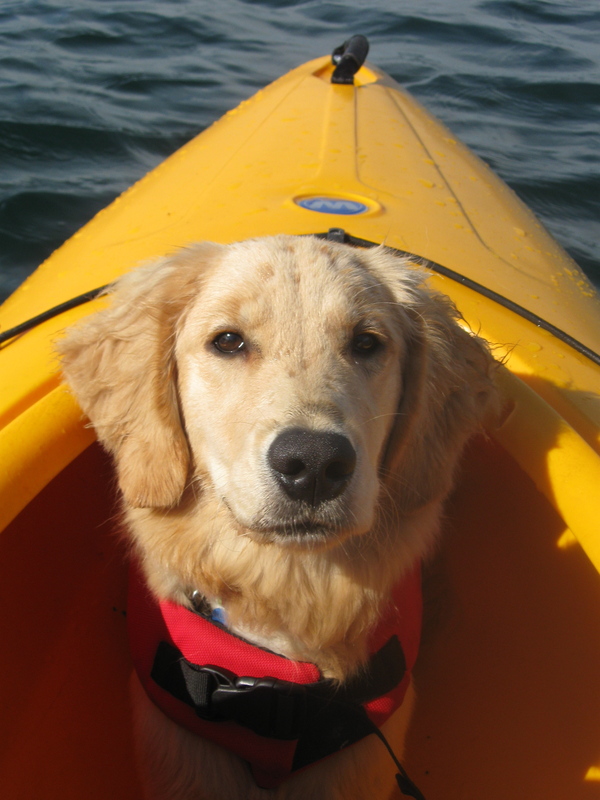 Something Wagging This Way Comes | Follow Honey the golden retriever and her people cruising full time on a sailboat. 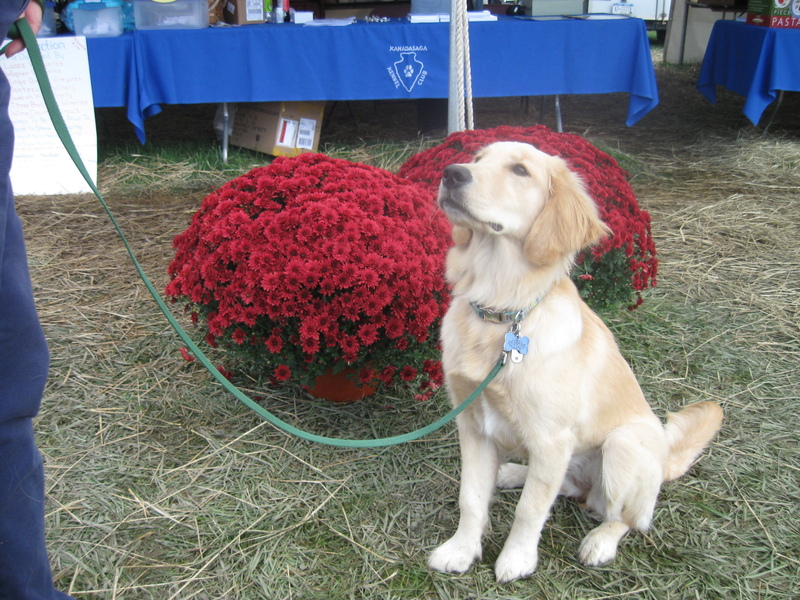 Life lessons, tips, training info and more to build your bond with your dog. This is way too long to pose for a picture. Especially at a dog show with so many interesting smells. Over at the NPR website, you’ll find a different documentary posted each day this week. These are finalists in the Vimeo video contest. Today’s video, Last Minutes with Oden, is the very touching depiction of Jason saying goodbye to his dog Oden. Here are the alerts: Jason uses some coarse language in the video. And Last Minutes with Oden is about exactly what you think it is, saying good bye for the last time at the vet’s office. I watched it knowing the tremendous grief it would bring. And it led me to reflect on what a tremendous gift dogs give us to make it worth enduring this pain over and over again. I can’t say anything more that doesn’t come across much better in the short film. I’m having trouble getting the code to embed. To view the video on Vimeo, click this link. I’m not very mechanical. That’s why, when my car breaks down, I rely on the same method to repair it every time: take it to the mechanic and try to reproduce the problem. I never can. Voila! It works every time. The same thing happens with my computer. A glitch comes up. I try to demonstrate the problem for our IT guy and I just can’t reproduce it. Problem solved. What does that have to do with puppies? 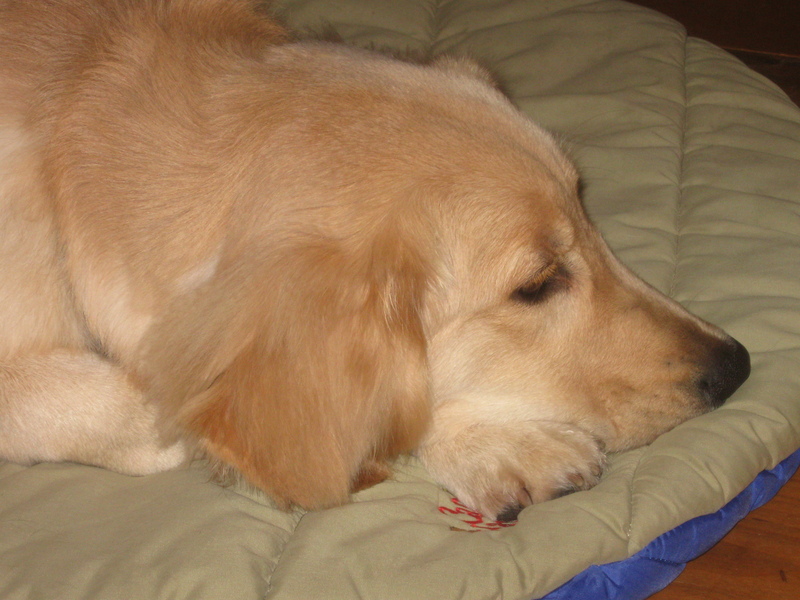 Well, I blogged about Honey suddenly becoming whiney in her crate. Since then, she hasn’t whined once. Problem solved! Now maybe I should write about her enthusiastic jumpy greetings of every stranger! So that's what they mean when they say they're going to "fix" their dog--they just write about him. See, I can sleep just fine on my pillow. 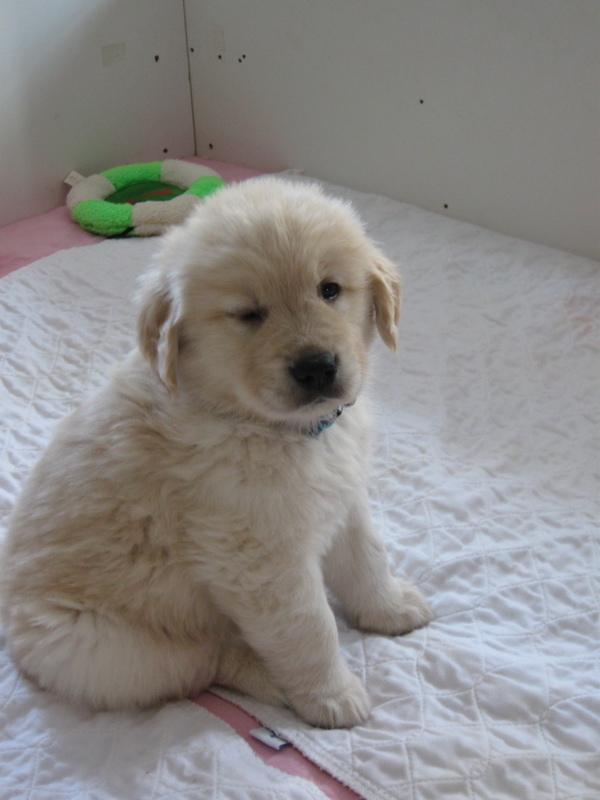 The day we brought Honey home, she whined for less than a minute before falling asleep in her crate by the bed. At 3 months old she was already sleeping through the night! She was a perfect puppy. 2. Puppy goes to hospital for squeaker removal. Her recovery schedule includes being woken at 10 p.m. and 4 a.m. to eat. 3. Puppy comes home with a disrupted sleep schedule and a bad habit. Or at least that’s all I can think of. Ever since Honey has come home from the hospital, she’s been more likely to whine in her crate. Loudly! And no, we don’t ever let her out of the crate while she’s whining. She’ll stop for a day or two and then start up again. And I’m beginning to wonder if she should be crated at night at all. I never crated my previous dogs. In the first case, I should have. It would have saved me a $1000 couch, $300 worth of cookbooks, several stained floors, and a couple of dog fights. When we brought Shadow home as an older dog, she was so calm there was no need. 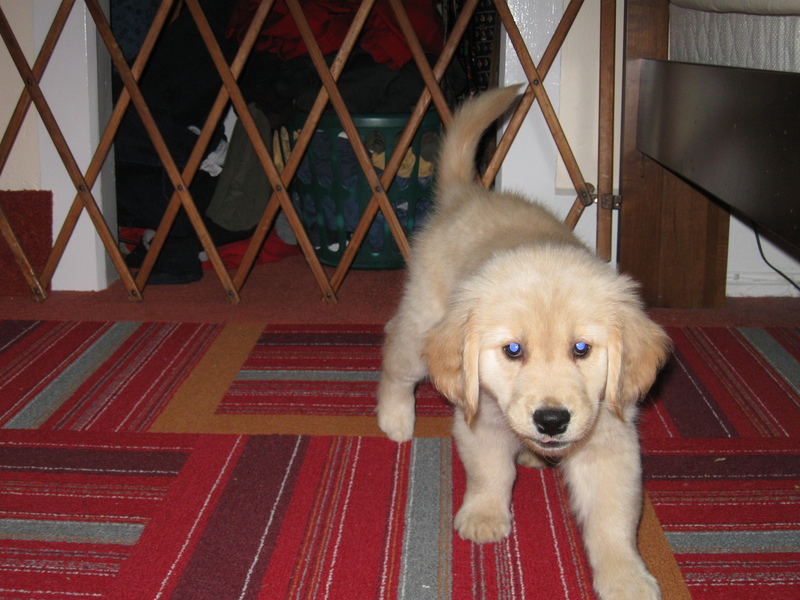 So now that Honey is a teenager, should the crate go in the attic? She goes to her crate easily without much fuss. She sleeps in her crate at my office. But Honey doesn’t seek out a crate as a refuge. Like most dogs, she’s perfectly happy on the floor, or on the couch, or on somebody’s lap. And we’ve had to reorganize the bedroom furniture in a funky way that House Beautiful would never approve just to fit the crate at all. Is it time to banish the crate? What do you think? Do you have a crate permanently for your dog? Or did you stop using it after housebreaking? Does your dog prefer the crate? Or do you prefer it? Any and all advice will be considered. Or else we’ll just banish the crate to stop the whining. 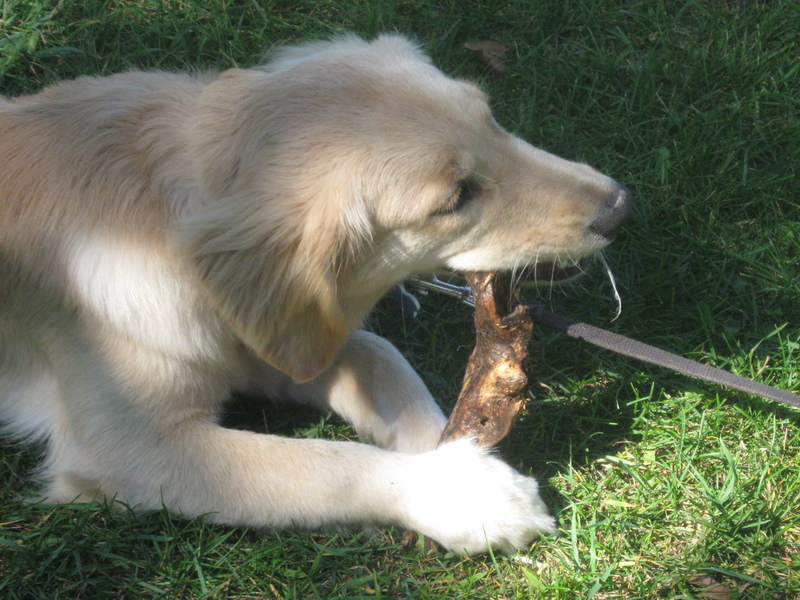 Thanks, Sage, for the Doggie Bloggie Award. 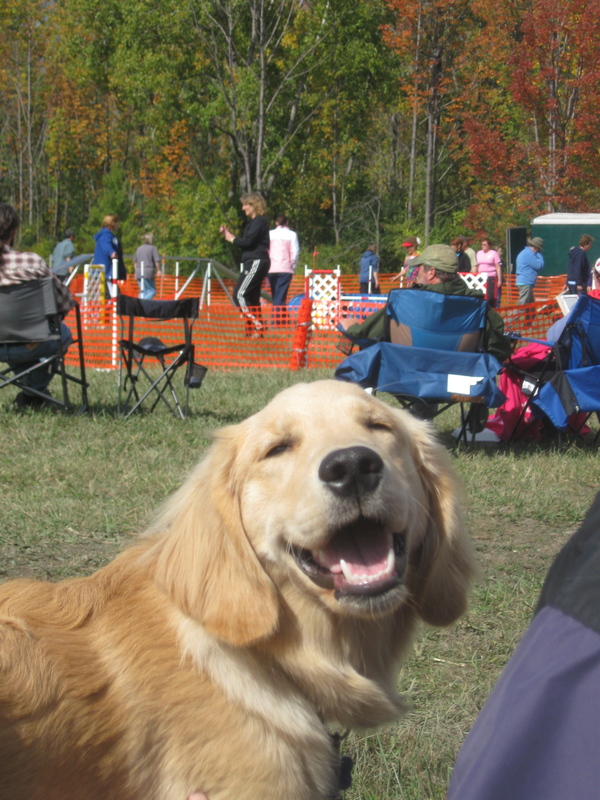 Sage, over at The [Mis]Adventures of Sage, has given Something Wagging This Way Comes a Doggie Bloggie Award. As a treat, it’s almost as yummy as liver! Thank you. 2) Name 10 things about yourself–creative, weird, enticing, whatever. 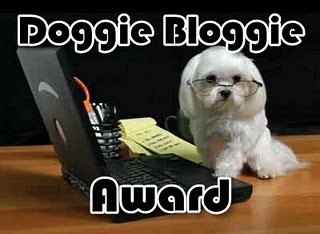 3) Award 15 doggie bloggers–whoever you think deserves this regardless of whether they are old or new. I don’t have a tv or a cell phone but I love my computer. I love the smell of sleeping dogs. My strangest job task ever was to order cadavers for medical students learning about trauma surgery. I love the water and regularly swim and kayak. That’s why I adopted a Golden Retriever–to enjoy the water with me. Honey does not like the water and doesn’t swim. She will, however, go for a kayak ride. Honey’s sister Goldie is a move star. She has a small part in a movie called The Red Lunchbox, coming this fall. She loves to sit on laps and cuddle. Honey likes to play tug even more than she likes to fetch. 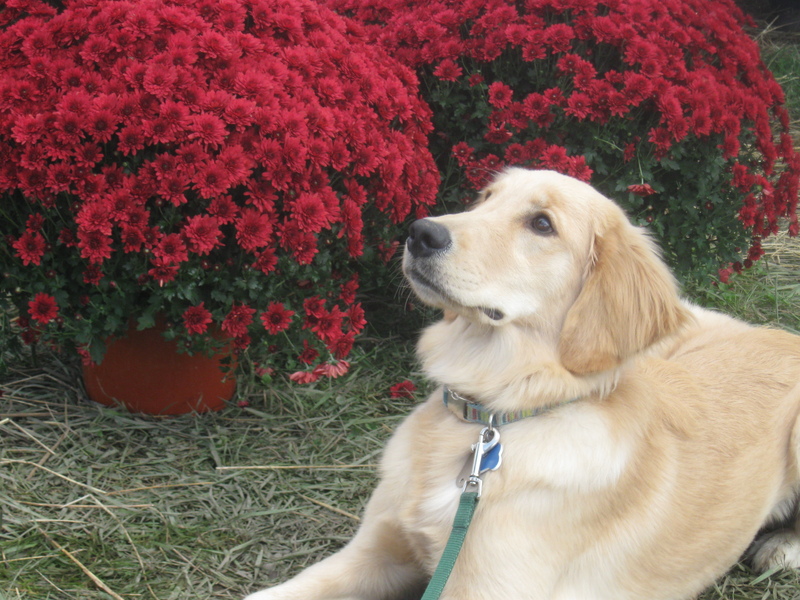 So enjoy visiting some terrific dog blogs! And stop over to visit Sage. Thwaank You! Oops, I forgot. I'm not supposed to talk with my mouth full. Who would have ever thought that this would grow into that? Do you want me to come home with you?